Award Year: 2004 American health policy is a quintessential example of "marble cake" federalism: a complex mix of responsibilities shared between states and the federal government. Margaret M. Weir, Ph.D. probes the interplay between state and federal political arenas in her Investigator Award project, Federalism and Strategies for Reform in American Health Policy. Her study focuses on the interest groups and organizations that disseminate ideas, shape agendas and policy alliances, and operate in health care reform debates. She analyzes the roles played by organized medicine, the hospital industry, AARP, governors, state legislators, the AFL-CIO, foundations, and others in the aftermath of the failed reform efforts of the 1950s, 1970s, and 1990s. Dr. Weir's project will shed light on how policy capacities are built in the states, how the federal government can best promote state initiatives to improve access to quality health care, and how state activity can influence federal efforts. Her work should provide policymakers with a better understanding of how state and federal action may best be combined to improve access to health care. Margaret M. Weir is a professor of sociology and political science and the Avice Saint Chair in Public Policy at the University of California, Berkeley and a nonresident Senior Fellow at the Brookings Institution. Weir has written widely on social policy and politics in the United States. She is the author of several books including, Schooling for All: Race, Class and the Decline of the Democratic Ideal (coauthored with Ira Katznelson, 1985); and Politics and Jobs: The Boundaries of Employment Policy in the United States (1992). 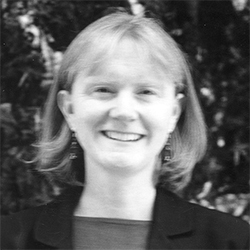 She has also edited several books that deal with development of social policy in the U.S. including, The Politics of Social Policy in the United States (with Ann Shola Orloff and Theda Skocpol, 1988) and The Social Divide (1998), which examines social policymaking during the Clinton administration. Her recent work examines the politics of metropolitan inequalities in the U.S., with a particular focus on the politics of coalition-building. From this work she has published "Coalitions for Regionalism," in Reflections on Regionalism, ed. Bruce Katz (2000) and "Power, Money, and Politics in Community Development," in Urban Problems in Community Development, eds. Ronald R. Ferguson and William T. Dickens (1999), and "Planning, Environmentalism and Urban Poverty," in The American Planning Tradition, ed. Robert Fishman (2000). Professor Weir was elected to the 2007 Class of Fellows of the American Academy of Arts and Sciences. Chen, A.S., Weir, M. The Long Shadow of the Past: Risk Pooling and the Political Development of Health Care Reform in the States. JHPPL, Oct 2009, 34(5): 675-712.